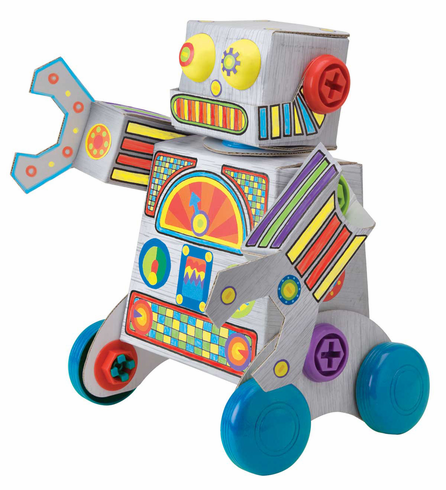 Build a giant rolling robot with chunky plastic nuts and bolts. Decorate with stickers and markers. Includes plastic nuts, bolts, wheels, eyes and screwdriver, 30 stickers, 6 markers and easy instructions. Car measures 11"H x 9"W x 7"D. Ages 6 and up.